Nestled amongst the sand hills of North Carolina’s Piedmont region, the Pinehurst Resort’s Golf Course has done much to reduce its impact on local water infrastructure. Prior to the restoration, there were 2,100 sprinklers onsite and after the process is completed only 1,400 will remain – a reduction of more than 30% that will lead to a decline of the golf course’s consumptive water use by nearly 40 million gallons per year. That’s a welcomed development given that North Carolina has experienced two of the worst droughts in its recorded history in 2002 and again from 2007-2008. Unpredictable rainfall patterns, a rapidly increasing population and the lack of mega-scale reservoirs (as found in the West) mean that the Southeast is facing an uncertain future with water supply. Disruptions in water shortages put at risk water dependent industries, such as golfing. For decades the golf course had large areas of green grass that was kept with impeccable care…and a good amount of irrigation too. However, in 2009, Pinehurst announced that the No. 2 range would return to as it had been in 1907. More than one hundred years ago it relied on native vegetation: shrubs and tall grasses and uneven patches of sand. 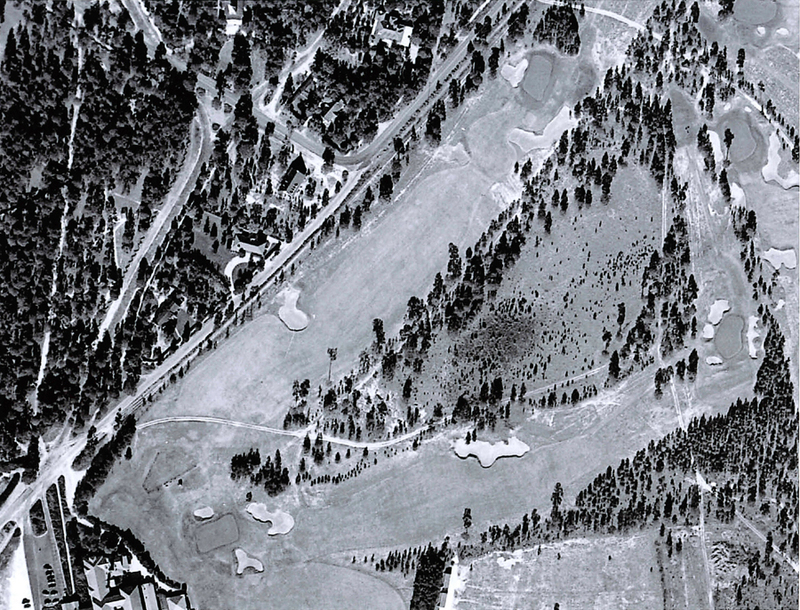 At first, the plan was met with skepticism, “Why would once of the most renown golf courses in America want to tear up 40 acres?” Golf course designers Bill Coore and Ben Crenshaw justified their design plan by showing WWII-era aerial photographs that were taken by planes with high resolution cameras stationed at the nearby Fort Bragg Army Base. These pictures allowed the designers to identify which types of vegetation to plant based on the historical state. Some 80 types of native plants were instituted in the restoration process with help from the North Carolina State University Crop Science students. Freshkills Park is striking a similar tone regarding the landscaping of the park. During the landfill closure process native grasses were planted after the capping of the North, South and East mounds. The nearby Greenbelt Native Plant Center (GNPC) is developing trees, in partnership with the US Forest Service, specifically bred for the unique landscape at the landfill-to-park project. Already, the GNPC is preparing some 8,000 trees for the forestation project next spring. By using native vegetation there is no need for irrigation as the plants are naturally adapted to the amount of rainfall the area receives. Engineered landscapes such as Pinehurst and Freshkills Park not only save money in the absence of complex water systems, but also they greatly reduce the amount of water needed to operate. In North Carolina, they were able to reduce their water use by 78%. The executive director of the United States Golf Association, Mike Davis, notes that the biggest challenge to the golfing industry is the water access for the long-term future. The uncertainty of climate change and how it may affect water supplies puts at risk water dependent industries such as golfing. The issue at hand now is resiliency: How can we do with less water? As Davis puts it “…that is a great story of what Pinehurst has done, because we don’t have to irrigate 150 acres anymore…we hope that this can be done other places.” Thus, this golf resort long known for the masterpiece of its landscaping can change the narrative around water usage by other large users of water in line with the future, as we adapt to variations in water supply. 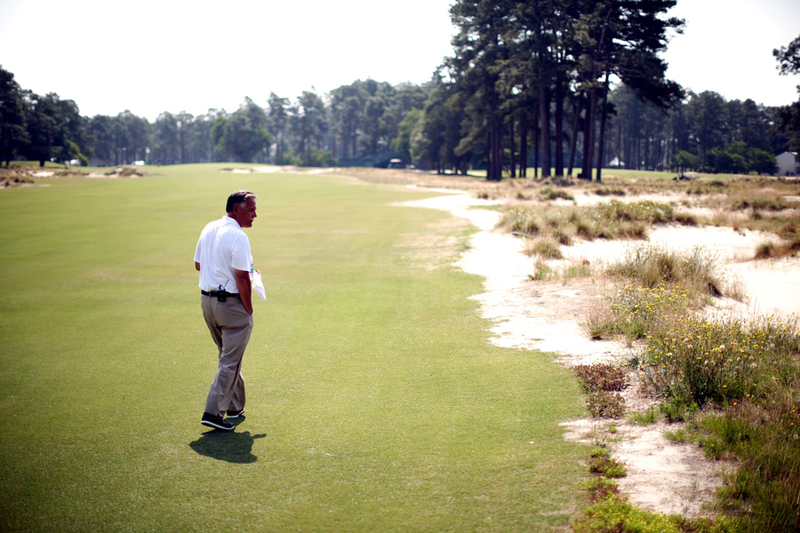 Last week, the U.S. Open was played at Pinehurst and so far the restoration has been met with overall applause, some noting that the native grass area created a ‘sense of suspense’ for everyone who missed a drive, according to cbssports.com. Once the quintessential American golf course, Pinehurst has undergone a transformation that parallels the increasing environmental consciousness in society at large. Images sourced from the New York Times.